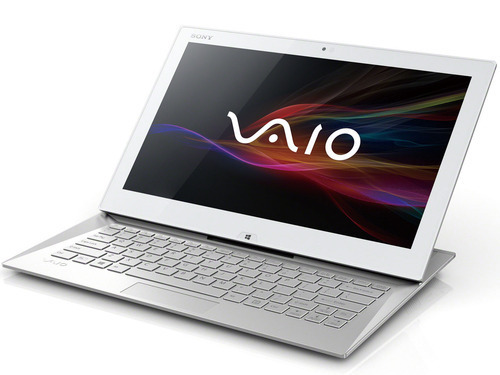 Supported by a reliable crew of experts and specialists, we are indulged in providing a wide assortment of Sony Laptop. Our cherished patrons demand these products in varied areas institutes, offices, schools, bank and airport. Our provided products are developed and manufactured using finest quality basic material and advanced technology in compliance with the industry standards and guidelines. Founded in the year 2002, Universal Computer System is amongst the noticeable entities betrothed in the domain of Supplying, Trading and Service Providing a quality definite compilation of Branded Computers, Branded Laptop, Hard Disks, CCTV Camera, Computer Printers, Computer Scanners, Computer Projectors, Networking Products, Security Surveillance System, Biometric Attendance Machines, Computer and Laptop Accessories, Computer Rental Services, CCTV Installation Services, AMC Services, Computer Antivirus Software Services and Repairing Services. These offered products are developed and manufactured using finest-class quality basic material and modern tools under the administration of proficient & well-informed personnel. Widely acknowledged and valued in the market for their sturdiness, capability and operative fluency, these offered products are highly recognized and known. Along with this, our offered products are reviewed on a varied of characteristics. These services are highly famous and accredited among our customers for their durability and reliability.